Rick has been a professional guitarist for over fifty years. He has performed publicly since age 10 eventually serving in the U.S. Navy Music Program as a staff guitarist, conductor and assistant band director. He has performed throughout Europe, Africa, South America, Canada and the United States on classical guitar and in contemporary and jazz ensembles. His guitar artistry provided him the opportunity to represent the United States at State Department sponsored diplomatic functions and recitals hosting Presidents, high-level dignitaries and their guests from the United States and abroad. After retiring from the U.S. Navy Music Program he founded Washington Academy of Music. In addition to overseeing business operations he is a working musician with an active schedule of recording, teaching and curriculum development. Rick holds advanced degrees from The University of the State of New York, Excelsior College and the U.S. Navy School of Music. He is a Founding Teacher of the Royal Conservatory Certificate Program in the United States, a Royal Conservatory Certified Teacher and serves as a Presiding Officer for the Assessments and Examinations of The Royal Conservatory of Music. Tim has been playing music for over twenty years. He began playing clarinet at age 10 which "lasted about a year." After clarinet he moved on to percussion which is an instrument class he's remained very fond of. At age 13 he began to play guitar. It was an easy sell as his father (Rick) was already a veteran player. 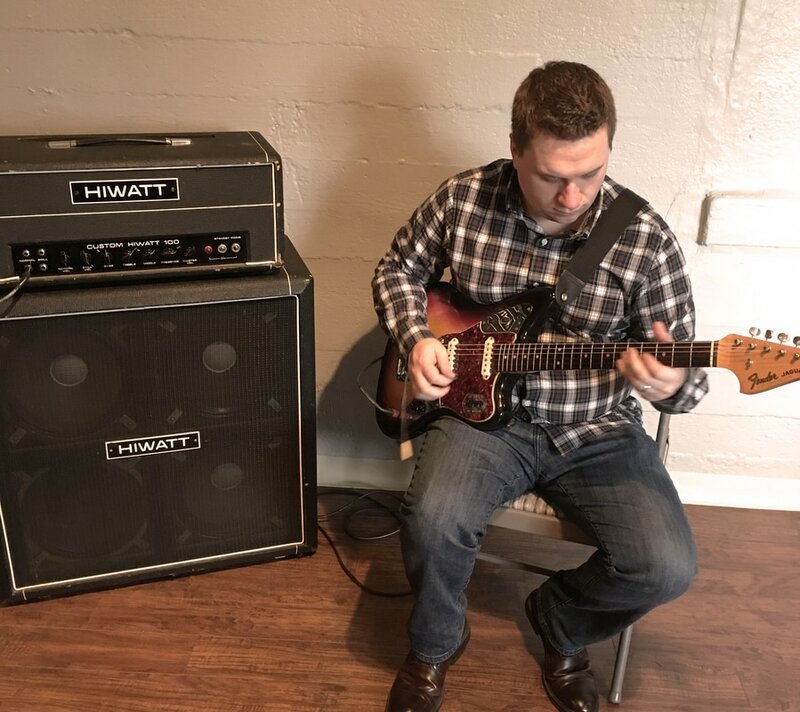 As a guitarist, Tim has worked with several bands performing all kinds of music, some of it his own. He has put in countless hours of private study into music theory and composition as well as symphonic orchestration. Outside of guitar he is an accomplished composer and has worked on several independent film scores. In 2014 his score for the short film "Recollection" won best original score at the North West Short Film Festival. Carson studied cello, bass, composition and theory in Los Angeles. As well as being an accomplished composer, Carson has performed with pop/jazz bands, orchestras, chamber music groups, as a soloist, and played at many clubs and venues in Los Angeles. After moving to Seattle he continued working as a professional musician and studied music theory and history at the University of Washington. Carson currently teaches music and performs as a cellist, guitarist, and bassist. He has composed music for professional video projects, produced other artists, and has taught courses in music technology. Carson has toured in South Korea, Hawaii, Alaska, California, and throughout Washington. Allison has been playing piano and singing professionally for the past 10 years. She began taking piano lessons at a very young age and by the time she was in high school she was already teaching lessons herself. Growing up performing in community theatre in the area led her to audition in Seattle where she was in the very first Rising Star Project at the 5th Avenue Theatre. From that experience she was cast in "The Music Man" at the 5th as part of their Mainstage season. Her passion for music led her to D.C. where she received a Bachelor of Music degree in Musical Theatre from The Catholic University of America just this past May. At school she was able to explore many different styles of singing, from strengthening her classical training to learning the technique of pop and musical theatre style vocalization. She also had the chance to accompany many different musicals and develop her piano skills even more. Allison is thrilled to be back home in the PNW and looks forward to teaching students in all styles and levels of voice as well as piano. Her knowledge of performing and her accompaniment abilities are also useful in helping students to prepare for auditions, musical theatre or otherwise. She can't wait to help shape these future musicians.